Βιβλίο εκμάθησης ορολογίας Αγγλικών για την ειδικότητα των ηλεκτρονικών. 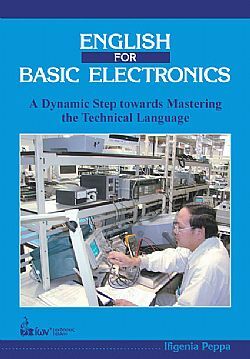 This textbook aims at helping adult students and professionals in the field of Electrical Engineering and Electronics to acquire fundamental knowledge of the technical language which is necessary for them in order to be able to communicate in the academic and professional environment, Learners should have an intermediate to upper intermediate level of competence to benefit from studying this book either in the classroom, or individually. 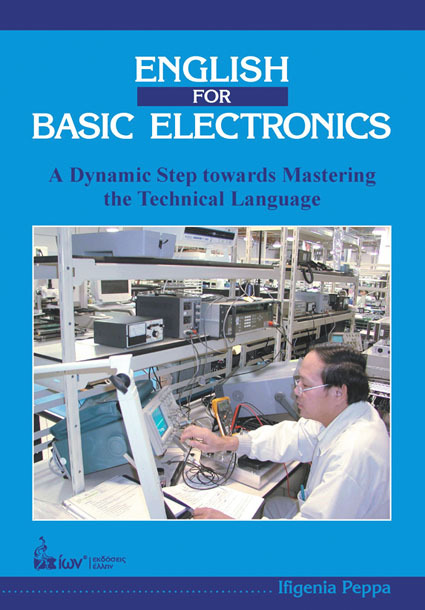 Authentic technical texts dealing with electrical circuits, electronic equipment and computing. An answer key to all activities included and the listening transcripts.